Eastern Europe has a drinking culture which dates back centuries; toasting to another’s health or welfare is a long established custom, and the tradition of clinking glasses when first taking a sip has been passed through generations. Bordered by Russia, Ukraine, Poland, Lithuania and Latvia, Belarus is firmly landlocked within the vodka belt of Eastern Europe. So as you would expect, the capital of Minsk isn’t lacking in authentic bars. Minsk travel. But it’s not common to visit a bar several times a week just to grab a small beer near your home. In Minsk, going to a bar is a special event, where people spend more money and choose the best possible options. Minsk clubs. Minsk nightlife isn’t made up of bars which are popular just for being cheap; the scene is very much made up of authentic places to drink, eat tasty food, and socialize. So we’ve put together a list of the 5 most authentic bars in Minsk. Are you looking for one of the best bars in Minsk? What about to visit Wine bars? Wine bars are trending right now and the situation is unlikely to change. Here you can literally “wine your soul”. Though the wine selection is relatively small, the owners compensate by carefully choosing quality varieties. And the atmosphere is as authentic as it gets – you’ll find stylish design, good music and super-welcoming stuff. Minsk nightlife tips. Днём или вечером, точно не на завтрак. Это блюдо абсолютно устроит тех, кто сегодня выбрал бокал белого, порадует хрупких блондинок, не оскорбит чувства приверженцев ЗОЖ и лактотерпимых песковегетарианцев , умилит почитателей рыбных блюд. Что в тарелке? Половинки нежного молодого картофеля, обжаренного на оливковом масле; припущенный измельченный шпинат, не потерявший свой яркий весенний цвет, смешанный с прозрачными кубиками пассерованного репчатого лука, с небольшим добавлением сливок, приправлен солью и перцем; два сочных обжаренных хвоста креветки ; два куска филе трески, слегка панированного в муке и обжаренного, декор из тонких полосок лука-порея, доведенных во фритюре до приятного золотого цвета. Всем привет! The Attic (its original name is “cherdak”) serves delicious food and drink right in the picturesque heart of the old city. It’s a soulful place for those who like to relax and prefer a nice friendly atmosphere, and gets great Belarus nightlife reviews. The bar is open all night and offers guests amazingly priced cocktails, the hottest parties and a modern music from cool DJs. Such a special bar can be found on Zybickaja 9. 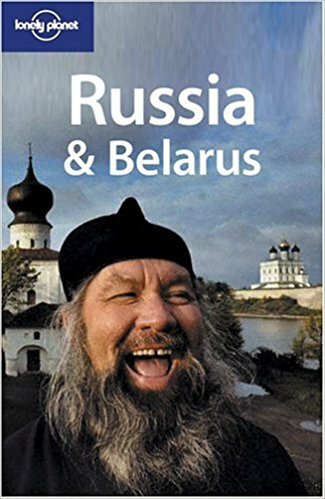 Belarus nightlife guide. That is certainly the biggest bar / restaurant in Minsk. Tourists and locals can find live music, evening parties, a rich menu and an onsite brewery with unique types of beer. Minsk Belarus nightlife. Together with high quality beer, there’s quality food, including local dishes of Belarusian cuisine. There’s also a beautiful view of the Park of Peoples’ Friendship and ample parking where you can leave your car or motorbike. You can find Druzya (Friends) Restaurant and Bar on Kulman street 40. Coyote Bar is a unique place you need to visit if you’re looking for a party in Minsk. It offers a wide variety of dishes from American, Japanese and of course European cuisine. Furthermore, Coyote Bar offers late night programs each Friday and Saturday, and it’s a party! If you want to forget yourself for a while and just kick back, this place waits for you. Coyote bar is located on Independence avenue 117a. If you’re a rock fan, TNT rock club is the best bar in Minsk for you. This is a great bar with concerts organized every week, where you will find a lot of famous local bands. It’s rated among the best nightlife in Belarus. You can visit most concerts for free, sipping one of the numerous beers with American or European food from some of the best chefs in Minsk. This bar is so special that you can even visit the museum of rock culture here. You can see how the bar looks like from the inside being in another part of the world if you visit the website of TNT and open the 3d tour. The TNT Rock club is located on Revolutsionnaya str 9. The best time to visit Minsk is between June and September (summer). The city has a moderate climate, though this season does receive reasonable rainfall, so be sure to pack a compact umbrella. Alternatively, choose February to May. We use Booking.com to find the cheapest hotels. Enter your dates in the orange box below and click search. City hotels are close to nightlife in Minsk. Our favorite hotels in Minsk include Hotel Belarus Minsk, close to great shops, attractions and nightlife, with a gym, as well as a swimming pool, free Wi-Fi and water slides. Another favorite is the Renaissance Minsk: A Marriott Luxury & Lifestyle Hotel, a modern hotel within easy reach of Victory Square with a gym, as well as a sauna, free Wi-Fi and an indoor pool. Born in Belarus, Roman is a traveler who has visited 30 countries, and loves exploring the globe. 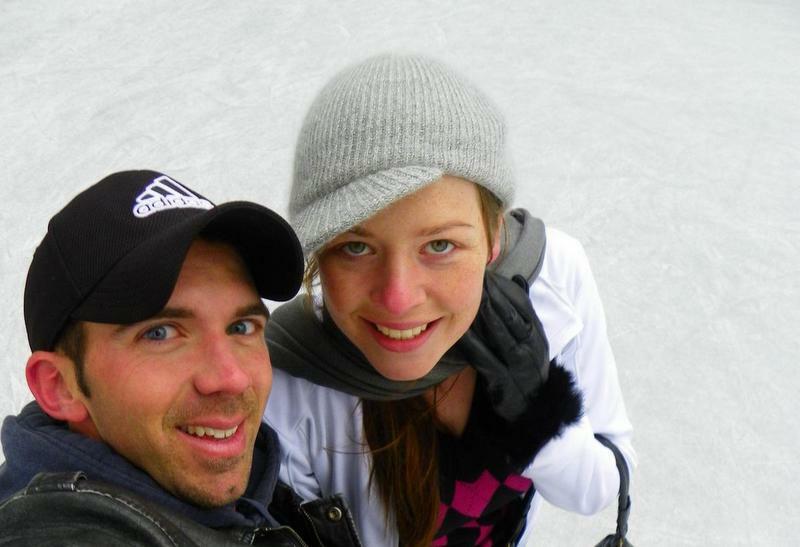 You can find his adventures on his travel blog romanroams.com as he roams around the world. 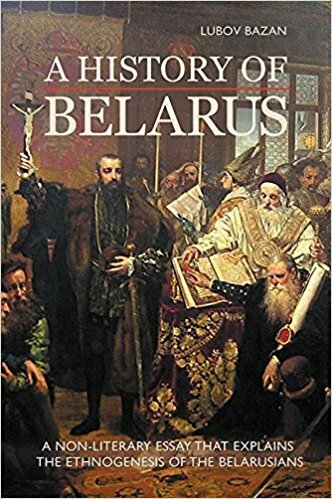 While traveling, he discovered that almost nobody knew about the existence of Belarus, despite the fact that it’s a country with a lot of great and unique attractions. 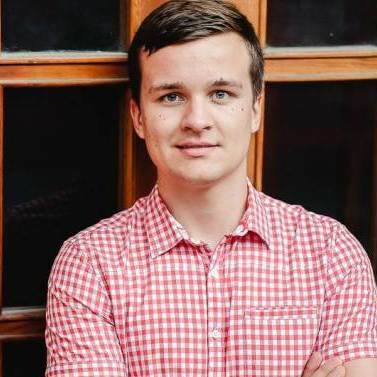 So he created Visit-Belarus.com to promote tourism to his home country, and provide a useful resource for tourists and locals interested in travel here. You know what Minsk reminds me of? Friends, the sitcom. It’s the first time I heard of this city on that and I was always curious about it since. Thanks for compiling this list, I’m sure to refer to it if and when I plan a trip to Belarus. Self-brewed beer sounds interesting! That’s right, Pheobe’s boyfriend goes to Minsk on scientific research right!! Glad we could provide you with some insight into Minsk nightlife – the bar scene sounds pretty great from what Roman has had to say! Did you say self-brewed beer? Have never heard that one before. Love if you can elaborate how that works though! Kinda left me hanging there! Have to get to Minsk somewhere down the line at least for the nightlife! Self brewed beer indeed! I believe they brew it right there onsite – I’m not certain as to the process, but it seems to be becoming a trend for hipster bars to double as their own breweries nowadays! I don’t usually explore the nightlife of a destination when I travel. (maybe because I’m getting old and likes to sleep early) But I’m always interested in a place that has good food and good drink. Druzya seems to have what I’m looking for – authentic local food, unique beer, live music! I’d love to check it out if I’m in Minsk! The nice thing about bars is they usually double as great resturants, and still have a fab atmosphere in the early hours of the evening if you don’t like to stay up too late. Druzya is a great spot – definitely stop by if you make it to Minsk! I am pleasantly surprised by the bustling nightlife there! Too many choices but I think I’d go for Druzya, if I were there. It seems like a great place with good food and ambience plus self-brewing beer? I’m sold! Druzya is a great choice – if you go there on your first night you may be tempted not to discover anywhere else lol :D! Sounds like a exciting nightlife there! Bar with self brewed beer is sure to be a crowd puller. I guess more than a week’s stay would be required to experience all of this right? What do you mean “self brewed beer”? Do they teach you to brew your own? I am most interested in the Wine Bar. Seems like a laid back and bright, well-lit place. I prefer that. Plus good food! It means that the beer is brewed there on site, as opposed to being purchased from a supplier :) I don’t believe they teach you howto brew your own, but would be an awesome addition to the experience – I might check on that though! Wine bar does sound like a great, laid back place to enjoy a glass! And yes, the food scene in Minsk sounds like it’s quite incredible! Ahhh thank you so much, I want to try all of these! Jess and I did a post about Craft Breweries here in St. Louis and it was one of the most fun posts we have done! Will have to add St Louis to my list too if they have a fab scene of craft breweries! What a fun collection of bars in Minsk. I’ve heard it is a fun place to party on the weekends and that the locals know how to have fun. I like the diversity, from bigger, clubby bars to modern, industrial wine bars. Sounds like a good time (and potentially a hangover). Glad you enjoyed the post Drew! It definitely sounds like it has a very diverse nightlife scene, and a lot of choice for fun! Great tips for visiting a drinking culture. This craft beer fan would start with the microbrewery. I love Roman’s idea to promote his country with a dedicated website. 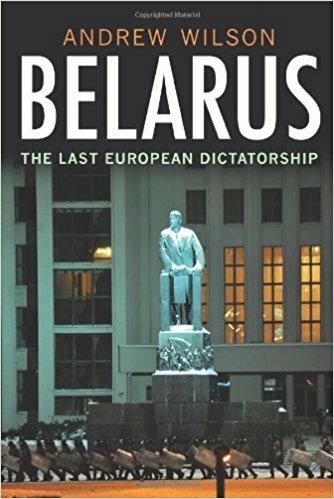 It’s true few people know about Belarus (and I thought I had it “bad” with my native Slovakia). You would be in good hands as a craft brew fan! I never knew that Minsk had such a nice bar-scene! Coyote bar seems a little too party-hardy for me, since I’m an old, married lady now ;) However the concrete wine bar sounds incredible, but the one that is most intriguing to me is Druzya Restaurant & Bar. I am a huge beer-lover! Glad we could introduce you to Minsk nightlife Paige! There are definitely some fabulous wine bars around which it sounds like you would love, and if you’re a fan of beer and craft breweries you’re in good hands in Minsk! Hope you have the chance to visit these bars soon!